The Sears Catalog was the Amazon of its time, containing just about everything one might want. In its heyday, large ticket items came with a monthly price and term for those who needed or wanted to pay for their purchases over time. Beginning in 1892, the Catalog and its sister department stores made Sears Credit one of the country’s biggest installment lenders. (There is irony to this, as the the company that was once a creditor recently declared bankruptcy due to its over-use of debt financing.) Terms were typically one, two, or three years. You made fixed payments over the term and then you were done, and you owned your outboard motor, refrigerator, or dining room set for good. A drawback of installment credit was that a consumer had to apply for a new loan with each purchase. This eventually led revolving credit to gradually displace installment credit as the predominant form of retail finance during the 70s and 80s. Sears and other retailers issued their own store credit cards and soon accepted general purpose credit cards issued by banks. Sears itself launched the Discover Card. Retailers recognized that customers made larger purchases when they weren’t constrained by the amount of cash they brought into a store and when they didn’t have to apply for a new installment loan for each new purchase. Bank cards’ flexibility enabled the growing number of cardholders to purchase a much wider range of items on credit, including clothing, vacations, a night out, or even groceries and gas for the car. That flexibility also made them useful in emergencies. Among many of the households that lack emergency savings, credit cards are now the main back-up. A Demos survey of LMI households in 2012 found that, at some point during the past year, most had relied on credit cards to pay for basic needs when they had been hit with unplanned expenses or lapses in income. The study demonstrated that revolving credit had become an important stopgap for working families facing both greater income insecurity and a thinning of their employer-sponsored benefits. Credit cards have essentially become a “Plastic Safety Net”, fueling a relentless increase in credit card debt over time — interrupted only briefly by the financial crisis — to what is nearly $1T today. The open-ended structure of credit cards explains a lot of that growth. Their flexibility lets a consumer replace a broken water heater without having to tap emergency funds. But open-endedness can tempt consumers to stretch out their debt longer than they had intended, and the instant credit availability that cards provide makes it perennially tempting to make discretionary purchases that can add on more debt. According to a Nerdwallet analysis of federal government statistics, 48 percent of credit card users are “revolvers,” who carry balances from month to month, and they account for nearly half of revolving debt. 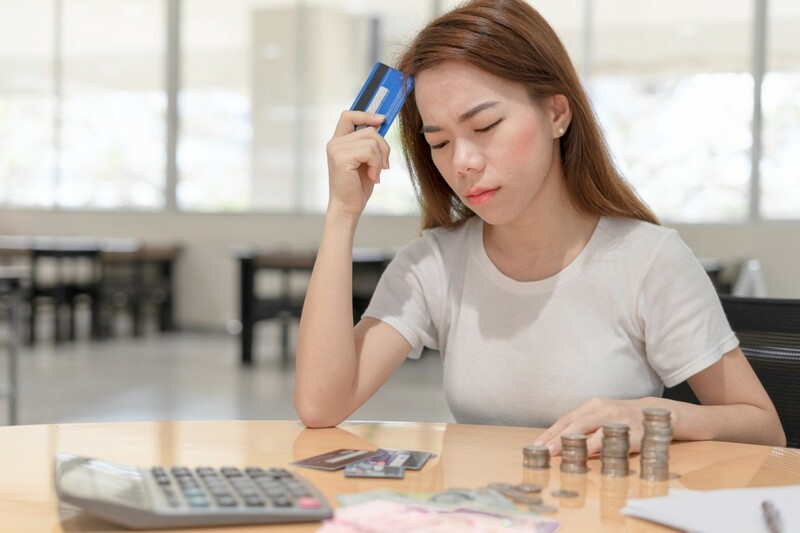 In a related survey, the consumer finance portal found that 42% of consumers who carried a card balance reported taking on more debt than they’d planned. Revolvers’ balances average $6,929 and cost them about $1,141 in interest charges each year at an average rate of 16.46%. Most revolvers make monthly payments at or near the minimum, stretching out the time they stay in debt and maximizing the amount of interest they pay. Card issuers count on these revolvers for their profitability and seek them out when prospecting for new cardholders. Banks have made the most of revolving behavior: at most issuers, the minimum payment amounts to just 1 percent of the month-end credit balance plus interest — or a floor amount that is typically $25. An average revolved balance of $6,929, even in the absence of new credit purchases, would take over 20 years to pay off at this pace. Watching their parents struggle with persistent credit card debt has reportedly made Millennials and Gen Zers more conservative about taking on debt. Possibly as a result, they are helping installment loans make a comeback. Installment loans’ appeal, in comparison to credit cards, are the fixed terms — a year or two or three — and equal payment amounts that automatically commit a borrower to paying off the debt. A number of fintech players are offering new ways to self-impose an old discipline. Affirm, a fintech, has signed up roughly 1,200 merchants (including Walmart) to offer installment financing for large ticket items sold by online and brick-and-mortar retailers. This is a modern flavor of the financing plans once offered by the Sears Catalog. GreenSky offers similar financing, as does Square. And Amazon has introduced installment purchase plans on selected products. Using streamlined access to borrowers’ credit and checking account history, the new installment lenders can underwrite almost instantaneously, relieving shoppers of the wait they once experienced at a store’s credit department or when ordering by mail, and providing retailers with the same certainty of closing a sale as credit cards. Marketplace lenders such as Lending Club and Prosper, have offered unsecured installment loans with fixed terms for some time, and being joined by Goldman Sachs’ Marcus and others. The most frequent reason for taking these loans given by borrowers is to pay down existing credit card debt. Their loan volumes continue to grow. Credit card issuers are now getting into the act. Citi, Amex, and Chase offer installment loans of up to 5 years against cardholders’ existing credit lines and at lower fixed interest rates. It remains to be seen whether credit cardholders will use the newly available installment loans to pay their revolving balances, or they will be simply taking on more debt. I’m hoping that the new installment loans help the 48% of households (and the majority of Millennials) who are carrying expensive credit card debt to pay it down and, ultimately, begin to build savings. This prospect is spurring more “retronovations:” EarnUp, a fintech and participant in CFSI’s Financial Solutions Lab, uses installment payment structures to help credit card borrowers pay down their revolving debt. Some banks and credit unions, who aren’t their deposit customers’ credit card issuers, have begun to offer installment loans to help their depositors do the same, and possibly build deposits in the bargain. Credit card debt is surely one of the biggest dampers on savings in our economy. It may be the conservative mindset and self-imposed constraints of a simpler era’s credit products that help rein it in.